There are some photo opportunities that are "only in New York" experiences. 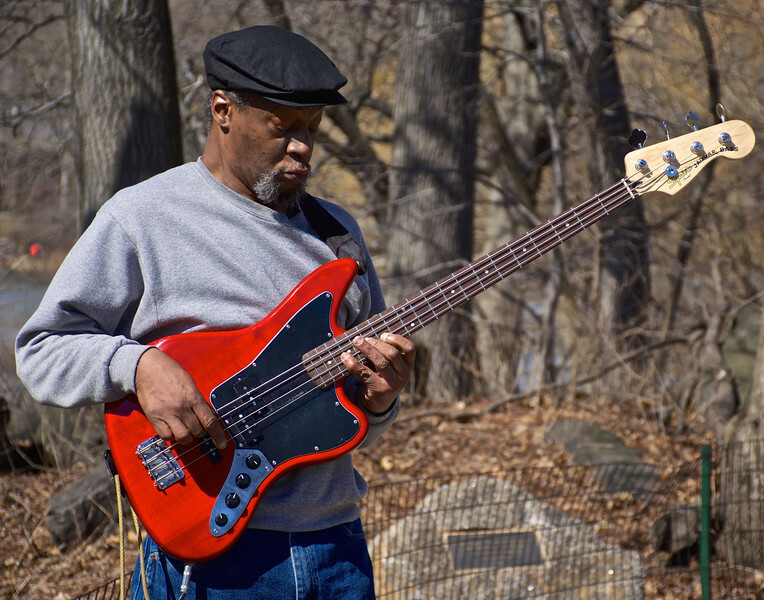 This fellow was plucking away at his bass one fall day in Central Park. I was struck by the soulful R&B that was coming from his fingertips, by his total immersion of self in his music, and by the vivid red of his bass against his dull grey sweatshirt and the fading landscape in the background that portends the coming of winter.